In July, we had dinner at Sanaa at Disney's Animal Kingdom Villas - Kidani Village, which has long been one of our favorite table service restaurants at Disney World. Sanaa features African cooking with Indian flavors at breakfast, lunch, and dinner. 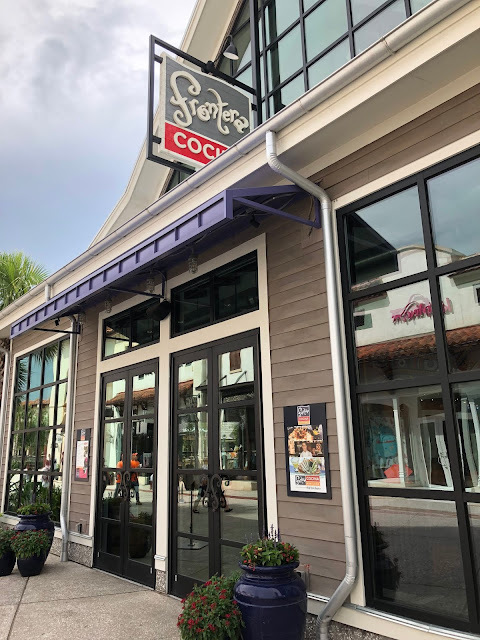 On our summer trip to Disney World, we dined at Sanaa for breakfast for the first time, which you can read about here. 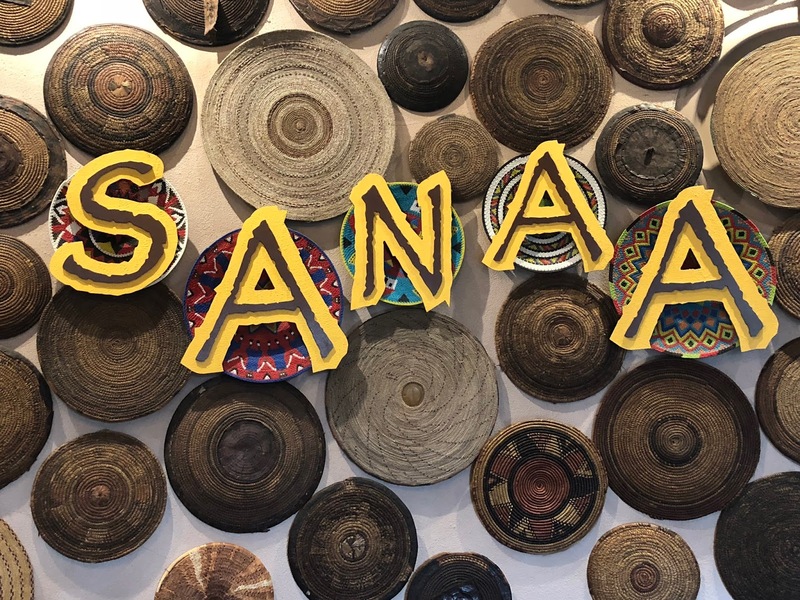 If I had to pick a favorite restaurant at Disney World, I would choose Sanaa at Disney's Animal Kingdom Villas - Kidani Village. Sanaa features African cooking with Indian flavors, and has long been a favorite of ours for lunch and dinner, so we were excited to try their breakfast service for the first time in July. 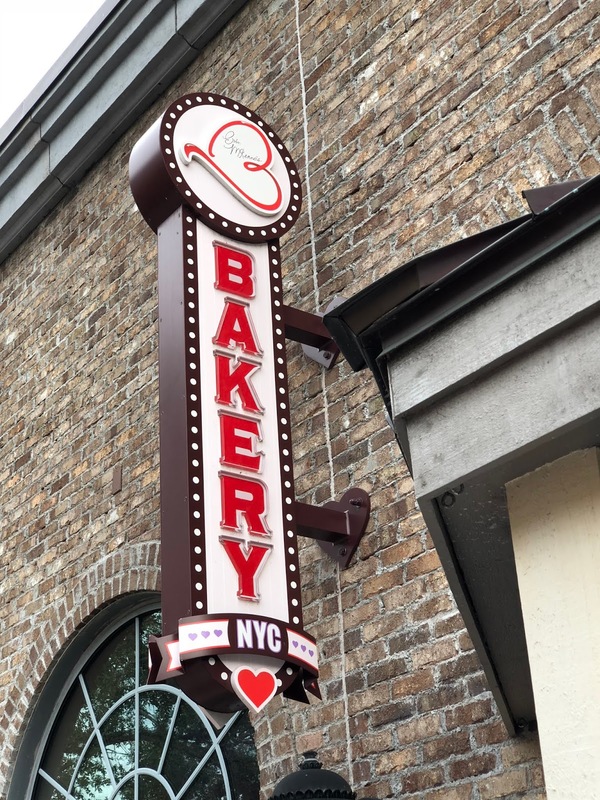 During our trip to Disney World in July, we stopped at Erin McKenna's Bakery NYC in Disney Springs twice. We had not been to Erin McKenna's since we moved to California, even though we visit Disney World twice a year. There are so many great gluten free desserts at Disney restaurants, I don't feel much of a need to visit a bakery, and we have found some of Erin McKenna's baked goods to be very inconsistent in the past. Plus, I am a pretty good baker myself, and I usually prefer baked goods with dairy and eggs. In July, I had dinner at The Edison in Disney Springs with my friend Sarah from Gluten-Free & Dairy-Free at WDW. 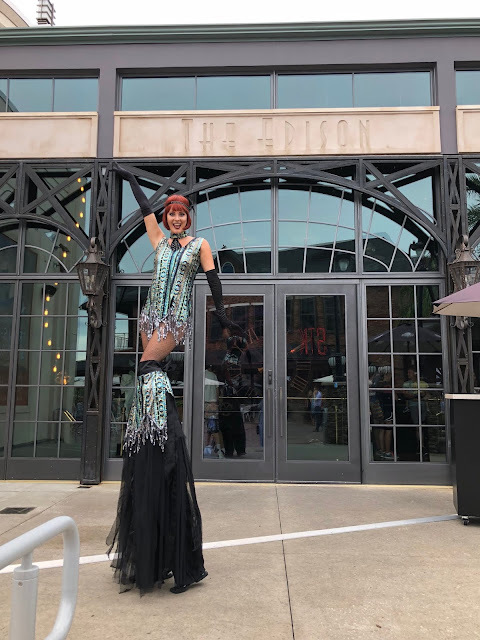 The Edison, a table service restaurant featuring American cuisine, is themed to look like a 1920's electric company with a steampunk twist. In July, my family had dinner at Trattoria al Forno, a table service restaurant on Disney's BoardWalk. 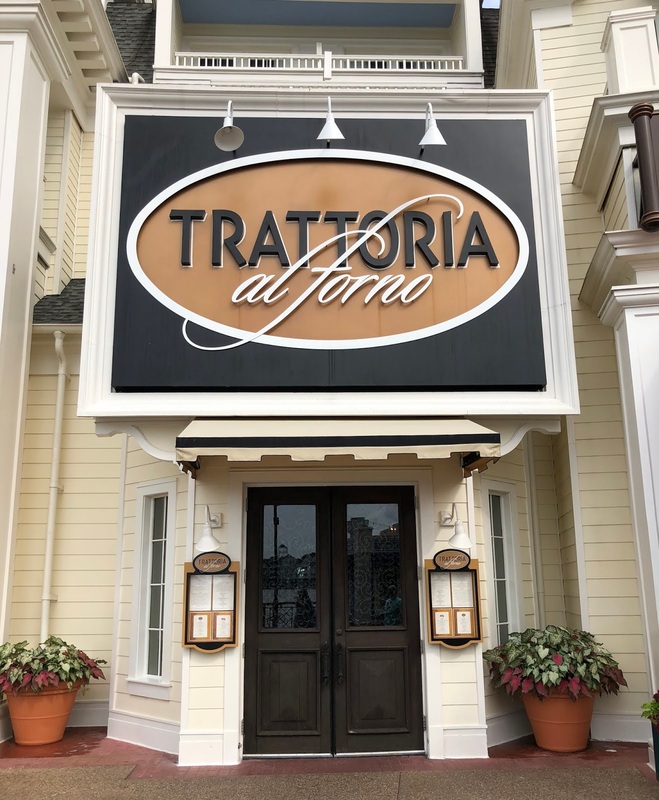 Trattoria al Forno, which serves Italian cuisine, has been one of our favorite restaurants at Disney World since it opened. It is a short walk from the back entrance of Epcot, which is located between the United Kingdom and France pavilions. Trattoria al Forno uses gluten free breadcrumbs in all of their dishes, which means that fried calamari, meatballs, and chicken Parmesan are all safe options. 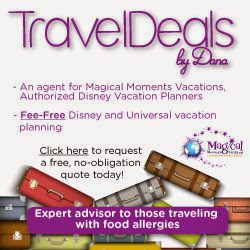 Most allergy-friendly menus at Disney World will only include dishes that meet the standard of being safe for at least four allergies. If you see a dish you are interested in on the regular menu, and it is not on the allergy-friendly menu, have your server check for you or ask to speak to a chef. In July, we had lunch at Mama Melrose's Ristorante Italiano in Disney's Hollywood Studios. 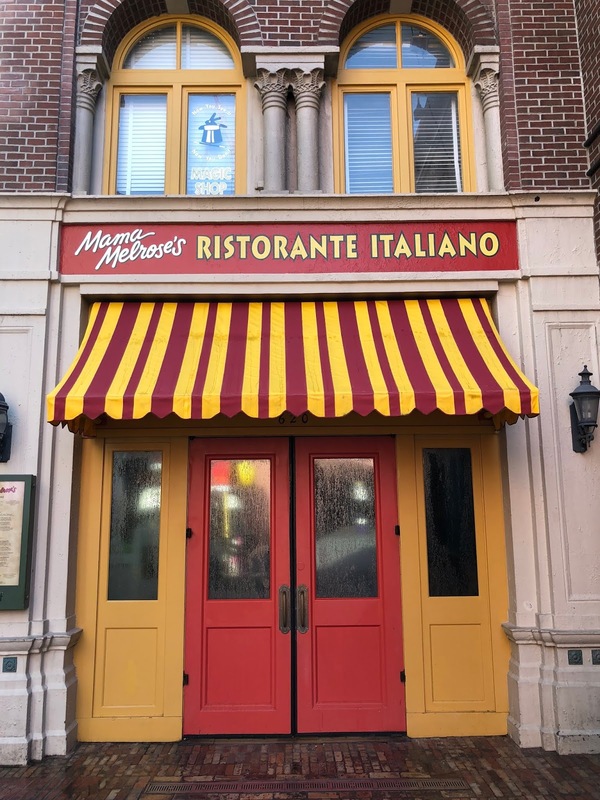 Mama Melrose's has always been our favorite table service restaurant at Hollywood Studios. In July, we had a chance to visit Toy Story Land at Disney's Hollywood Studios. Because we stayed at Disney's Wilderness Lodge and Bay Lake Tower, we were able to take advantage of the Extra Magic Hour that was being offered every morning from 7:00 to 8:00 am. In July, during our trip to Disney World, we had dinner at Frontera Cocina, one of our favorite table service restaurants at Disney Springs. Frontera Cocina by Chef Rick Bayless features gourmet Mexican cuisine. The restaurant is not owned and operated by Disney, but they do an amazing job with special diets. In July, we had lunch at Jungle Navigation Co. LTD Skipper Canteen, the Jungle Cruise themed restaurant in Adventureland at the Magic Kingdom. Skipper Canteen, which is staffed by the crew of the fun loving Jungle Navigation Co. LTD, features Asian, South American, and African cuisine. The chefs at Skipper Canteen have put together an impressive allergy-friendly menu. It lists options for people with gluten/wheat, milk, egg, soy, fish/shellfish, and peanut/tree nut allergies. If gluten/wheat is listed under a dish on the menu, it is safe to eat. On a previous visit, a chef told me that they only use gluten free tamari soy sauce in the restaurant, which shows Disney's commitment to serving people with special diets. 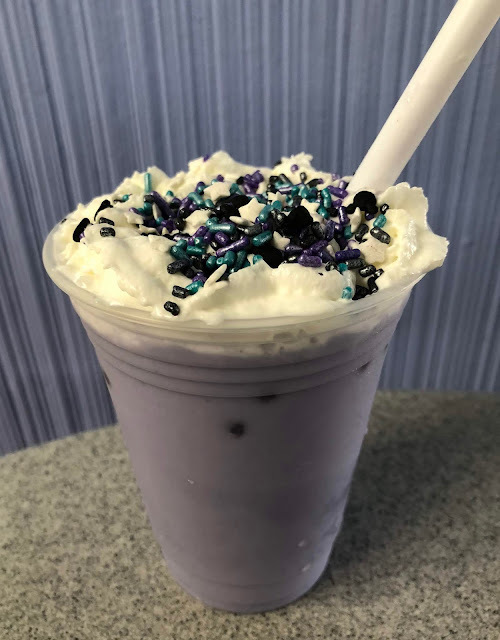 Last week, my daughters and I tried the purple wall slushy at Tomorrowland Terrace, a quick service restaurant in Disney's Magic Kingdom. The slushy was created to commemorate the Purple Wall, a popular photo spot in Tomorrowland, right next to Tomorrowland Terrace. 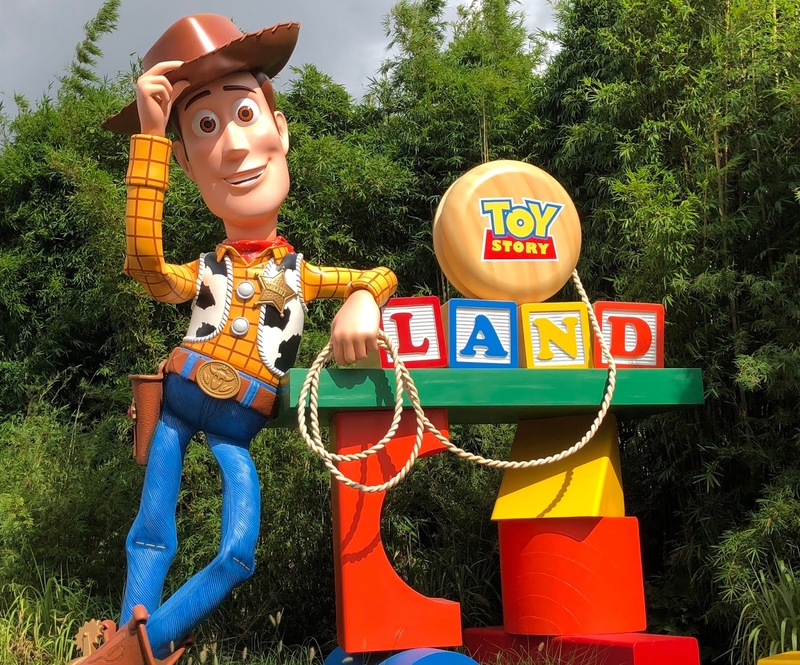 On our trip to Disney World in July, we spent seven nights at Copper Creek, our new Disney Vacation Club home resort at Disney's Wilderness Lodge. 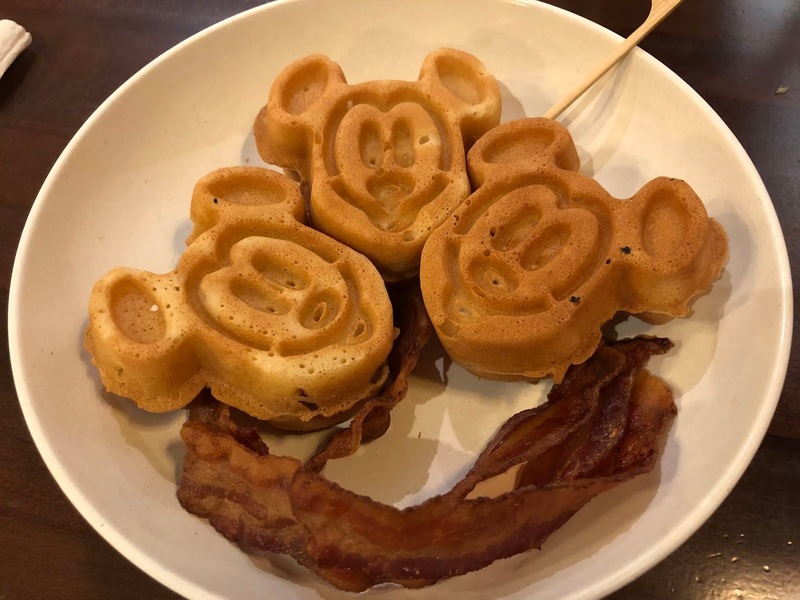 Every time we visit Disney World, I try to eat Mickey or Disney-themed waffles at least two or three times, because they are my favorite breakfast option along with the gluten free beignets at Port Orleans - French Quarter. On this trip, I had gluten free waffles at Sanaa, Kona Cafe, and Roaring Fork, a quick service restaurant at Disney's Wilderness Lodge.